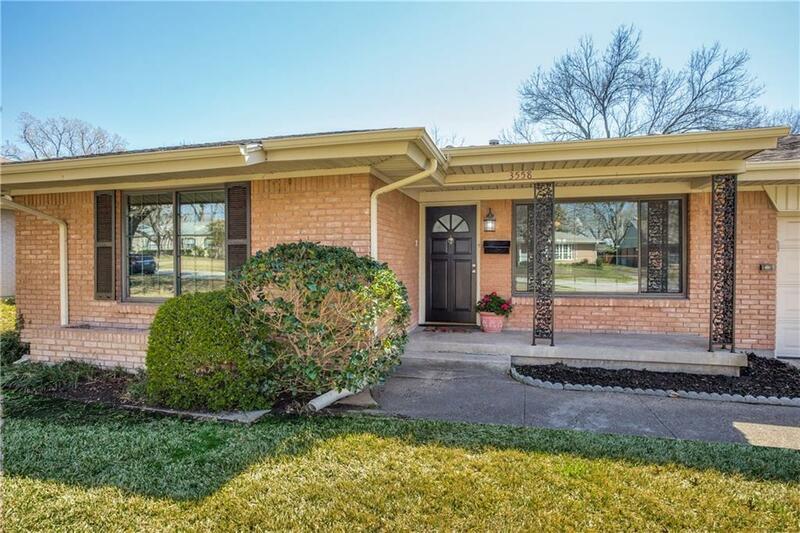 This well kept and freshly painted home has a great open floor plan. 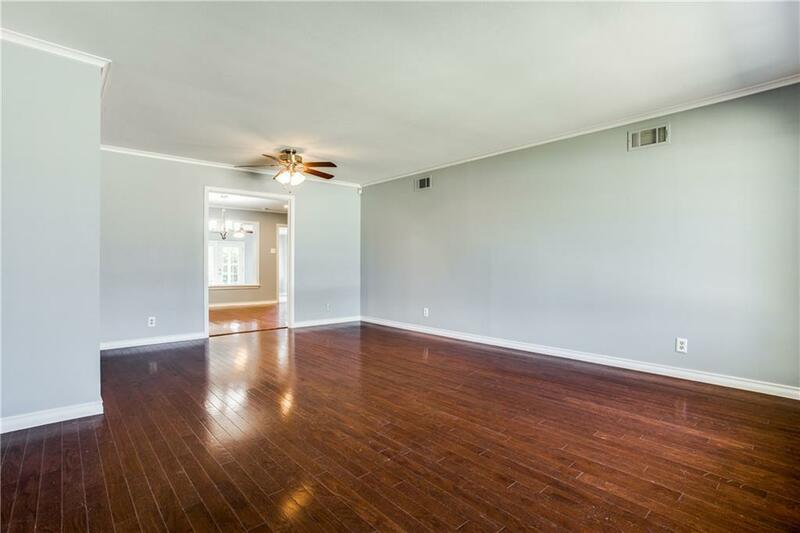 Large living room, dining room and kitchen open to a big second living area with french doors to spacious back yard. A lovely pergola, an 8 ft. fence, raised beds, and sprinklers compliment the large back yard. Updated kitchen has granite countertops, under mount stainless steel sink, stainless steel dishwasher and double ovens. 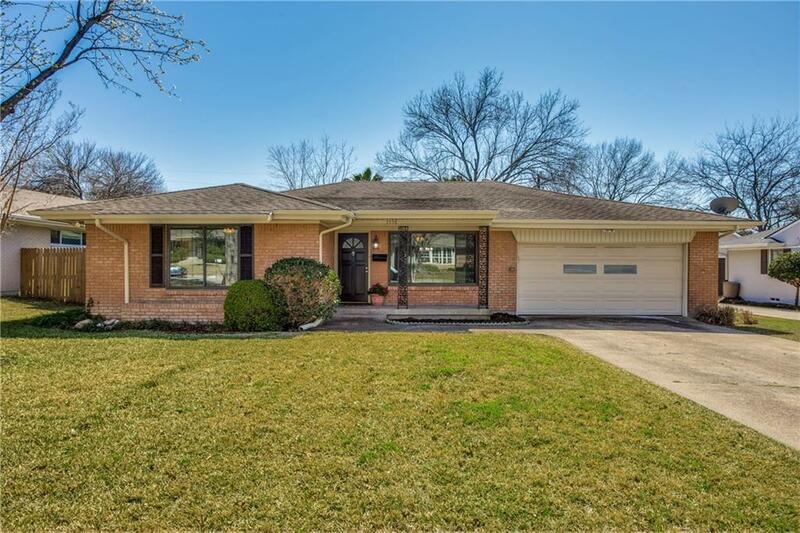 The home features 3 bedrooms, 2 baths, hardwood and tile floors, two car garage with auto openers, gutters with leaf guards, blown in insulation and an electrical panel replaced in 2012. 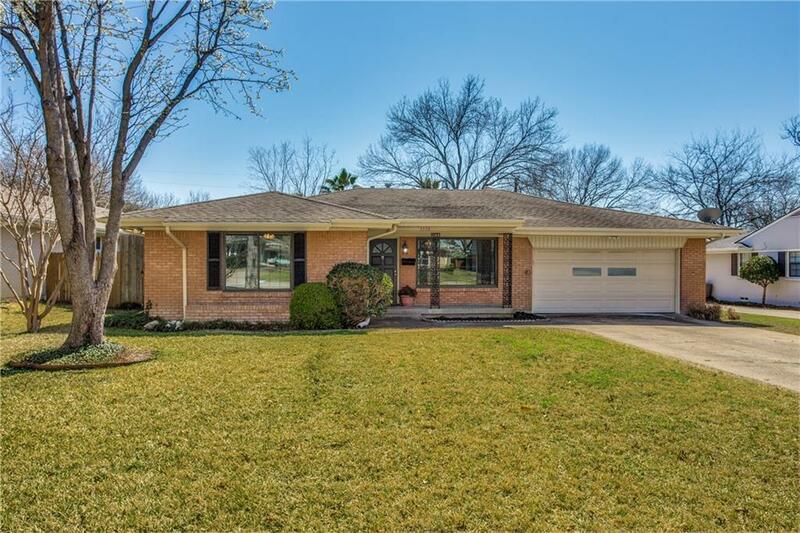 Offered by Elizabeth Hutchinson of Ebby Halliday, Realtors.